Double street roulette betting system. 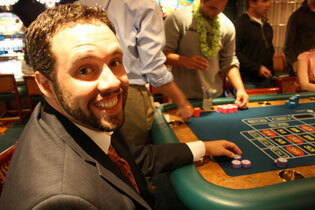 There are many strategies applied by gamblers to enable them win their game. One of such strategies is Double Street Quad. to go home with some earning. Roulette is rich in gaming strategies and the Double Street Quad is one of these strategies. As implicit from the name this strategy can only be applied on double streets betting option as well as straight number bet. You can also apply it on the corner or quad bet. With the double streets quad you can bet on 17 numbers from the 35 numbers available on the one 0 roulette wheel type. You are also expected to place bet with 6 chips at the same time. Two of the chips will be placed on the double street with a chip at the corner as well as straight number bets. We can show how this system works with an example. The first thing to do is to determine one straight up number that you will be using, which is 5 in this example. Place a chip on this number. In the next step, you have to also decide on the 2 double streets. We are using 36, 35, 34, 33, 32, 31 and 18, 17, 15, 14 and 13. Bet on the double streets with two chips on each of them. Having done that, you have to look for a corner to bet on. We are using 12, 11, 9, and 8. From the above you will be using 6 chips to place bet on seventeen numbers which are up to half of the entire numbers. In the one 0 wheel roulette, the payout for straight bets is 35:1. This means that if you win on the straight bet you will be gaining an additional 35 chips giving you a total of 36 chips. Subtract the chips you used in betting you will be gaining 30 chips. If you win on the double street bet you will be getting additional ten chips. The payout is 5:1 but you have place two chips. This will give you a profit of 4 chips when you remove the 4 chips you used in betting that are lost. The payout for the corner bet is 8:1. So if you win with this bet you will having a gain of three chips when you subtract the five chips that you lose from the 8 you have won. Warning! Though this system brightens your luck of winning it never promises you a win.